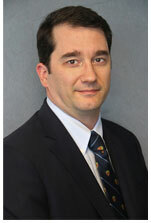 Mr. Dunton-Gallagher is an associate at Foreman Friedman, P.A. Originally from Vermont, Clyde holds a B.A. from the University of Vermont and an M.A. in philosophy from Temple University. Clyde has instructed well over 30 university courses and/or workshops in philosophy, the social sciences, literature, education, and international comparative economics. Clyde earned his J.D. at the University of Miami and, before joining Foreman Friedman, practiced at a small Miami firm where he handled general business litigation matters.